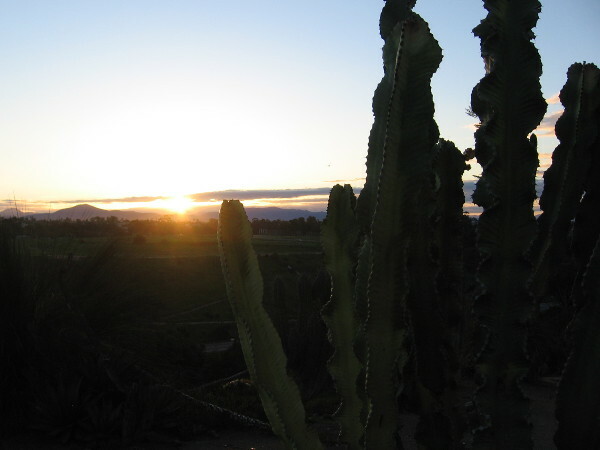 cacti – Cool San Diego Sights! 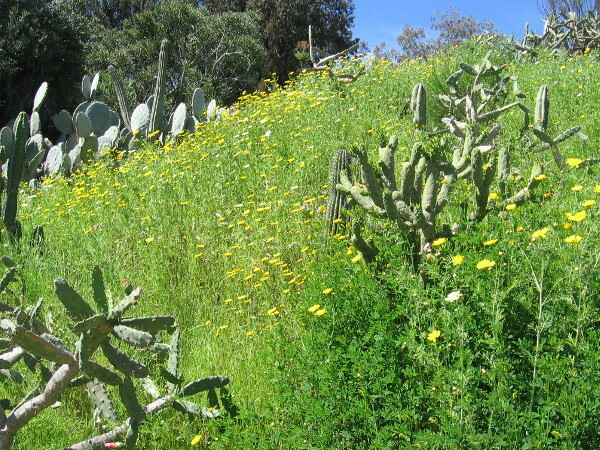 Native garden near Old Town San Diego’s McCoy House. 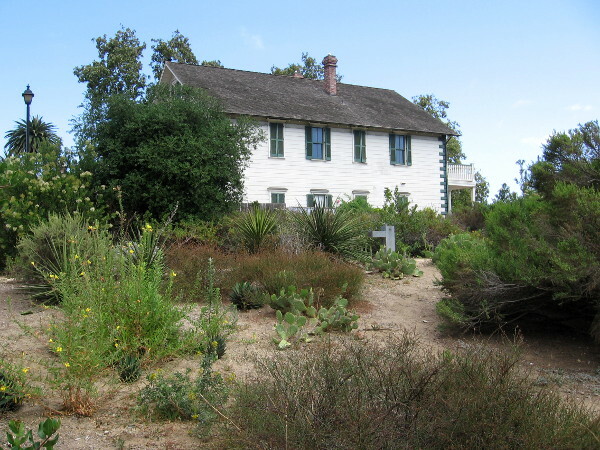 Photo of historic McCoy House in Old Town San Diego from the Native Garden. 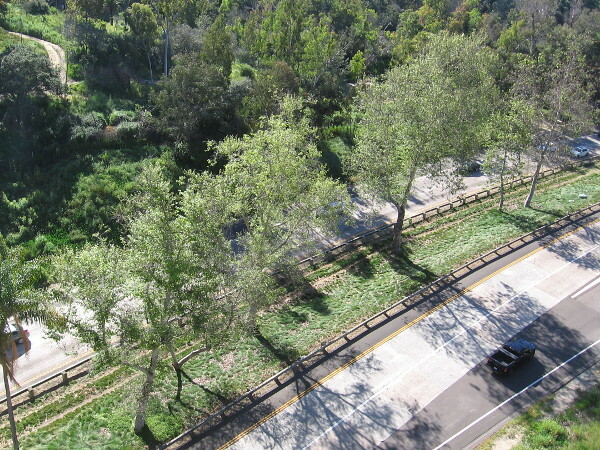 Today’s garden is located in a spot that was once very close to the San Diego River, before the river was diverted to the north, through Mission Valley. 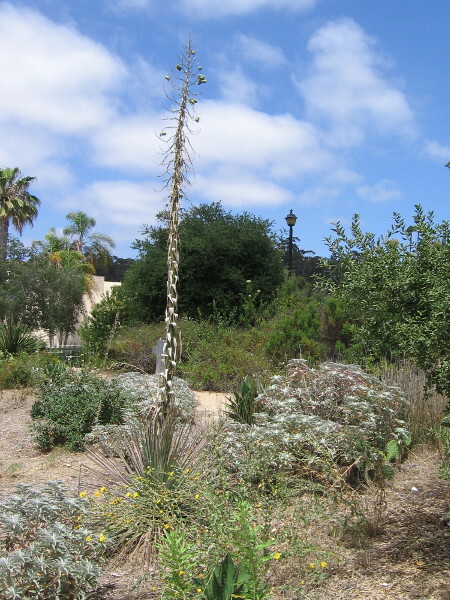 A small, ragged but beautiful native garden can be found in the northwest corner of San Diego’s Old Town, next to the McCoy House Museum. 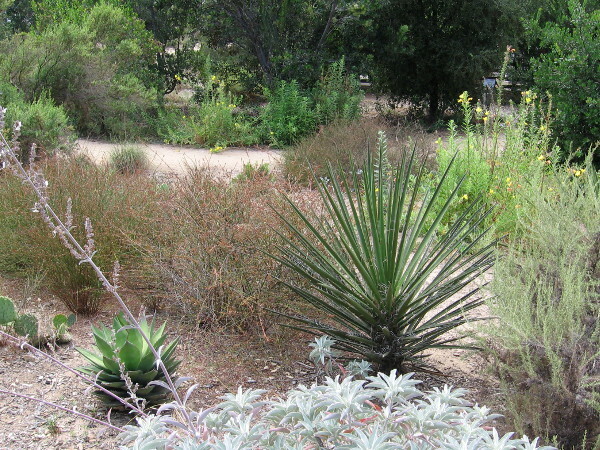 The Native Plant Garden contains vegetation which grows naturally along the rivers of our semi-arid region. 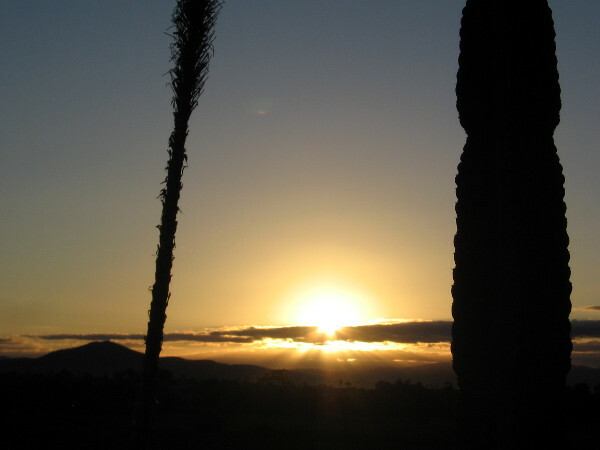 Long before Europeans arrived in Southern California, the Native American Kumeyaay lived where Old Town was eventually established; the Kumeyaay village at the base of Presidio Hill was called KOSA’AAY, or Cosoy. 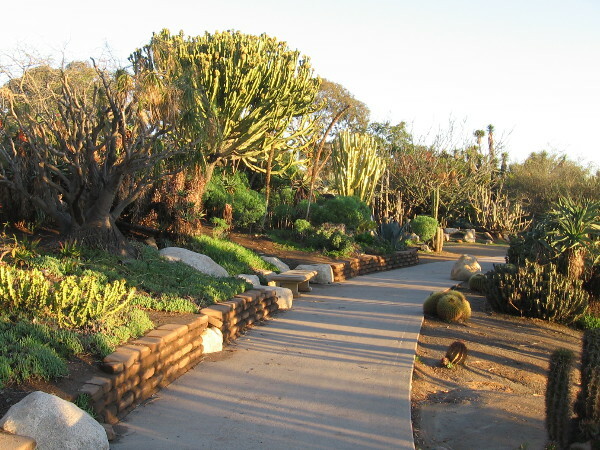 Many of the plants in the garden were used by the Kumeyaay people in everyday life. Read the photo captions to learn much more. 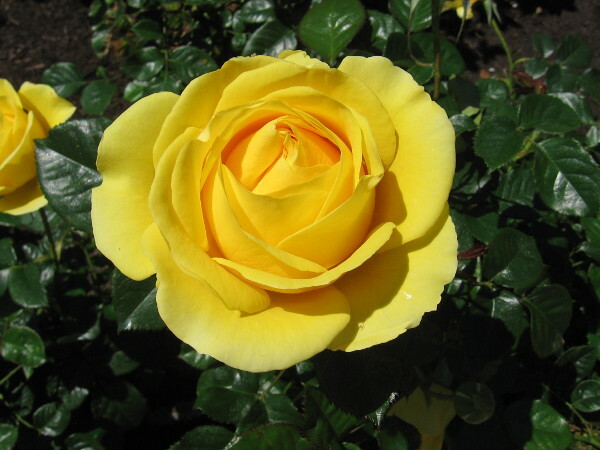 Click the garden plans and the two signs, and those images will expand providing additional information! 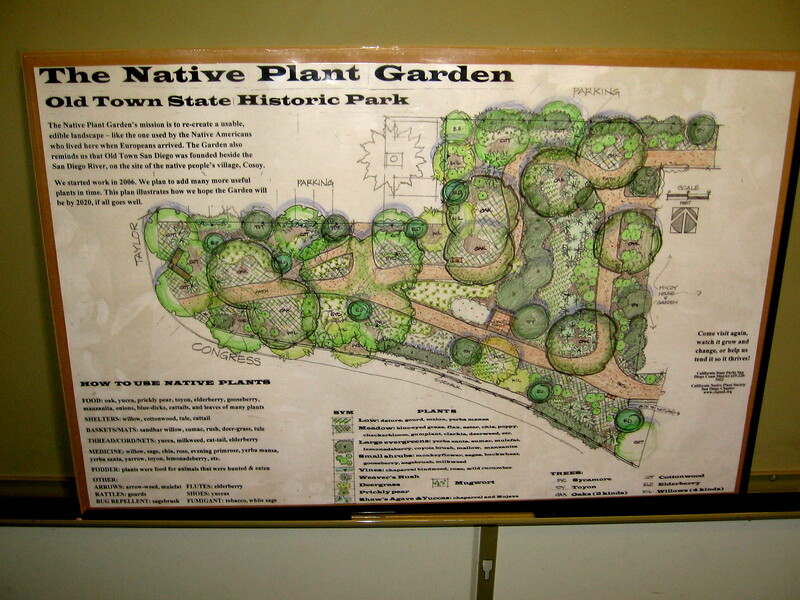 Plans of the Native Plant Garden in Old Town San Diego State Historic Park. 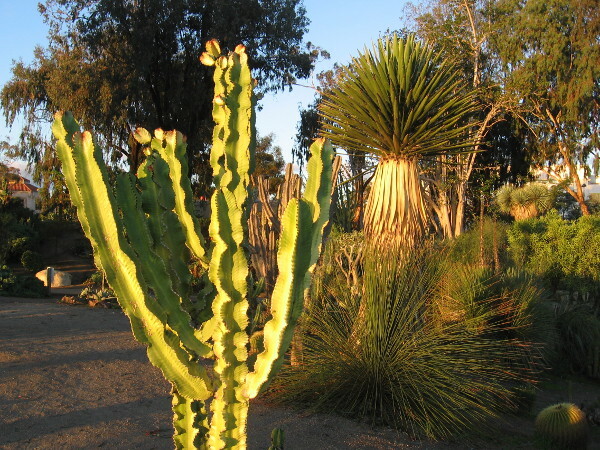 Included are species used by the Native American Kumeyaay for food, shelter and medicine. 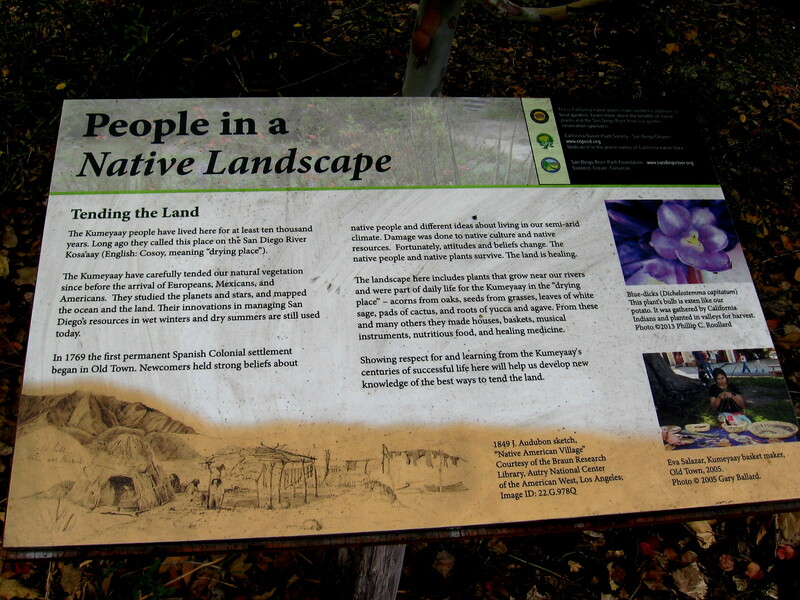 Their village Cosoy was located here. Looking northwest from the second floor of the McCoy House Museum in Old Town San Diego. 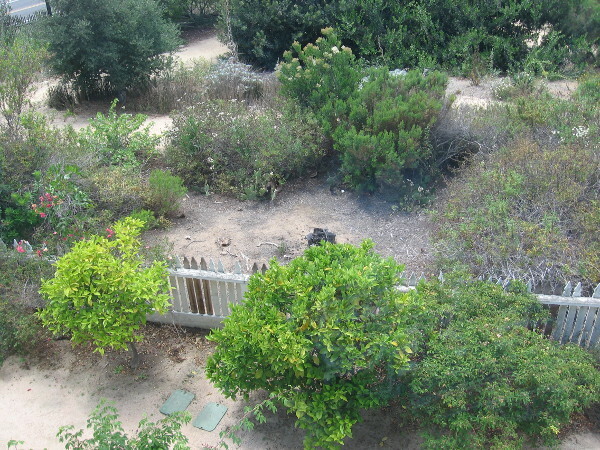 The Native Garden beyond the fence is a bit dry and scraggly–but that’s how local vegetation naturally appears. 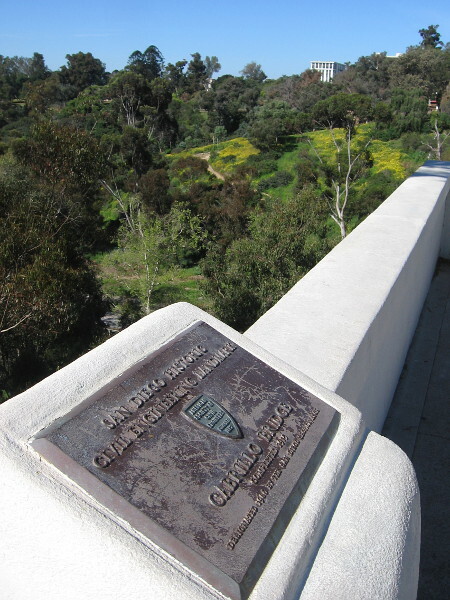 150 years ago the San Diego River flowed nearby, bringing explorers, settlers, boats and traders to Old Town. 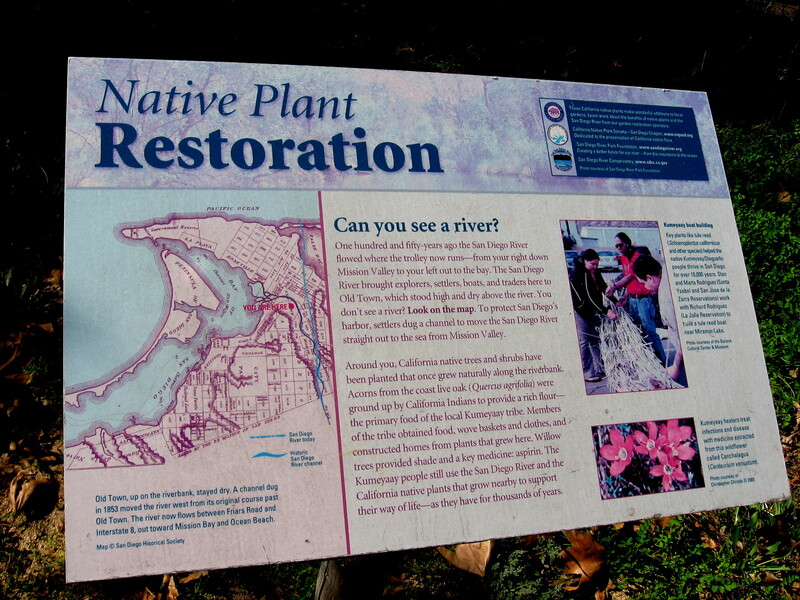 California native trees and shrubs have been planted that once grew along the riverbank. 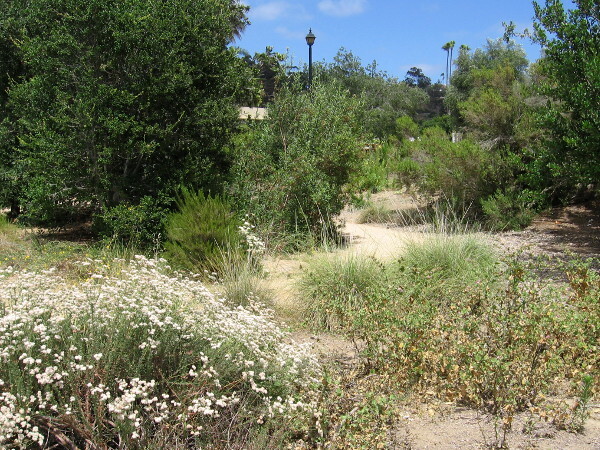 Dirt walking paths meander through the small Native Garden at the northwest corner of Old Town San Diego State Historic Park. 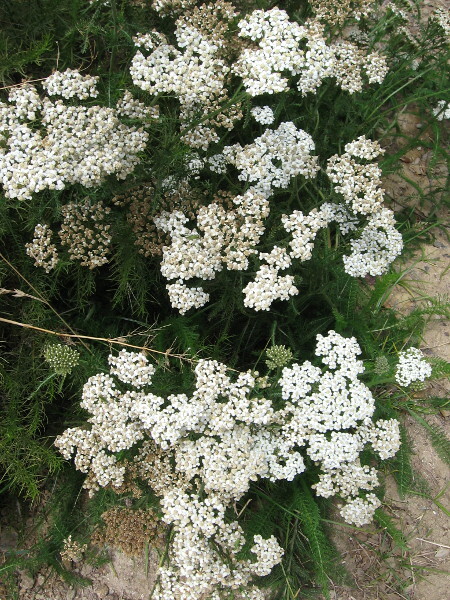 Yarrow was used by the Kumeyaay as a treatment for various medical conditions, including burns, inflammation, and pain from toothache, headache and arthritis. 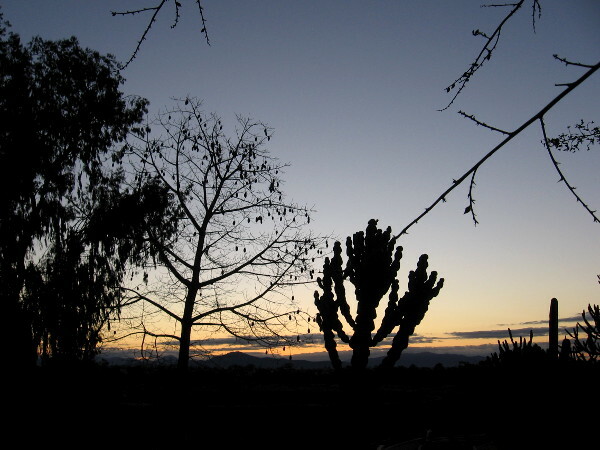 Tall stalk of a yucca that already flowered still juts into the sky in Old Town San Diego. 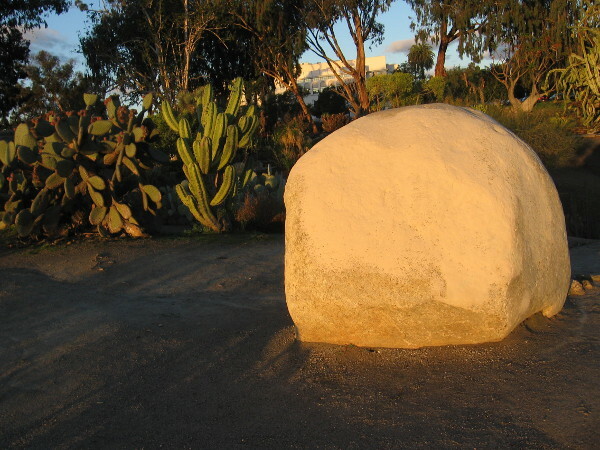 The Kumeyaay people have lived here for at least ten thousand years. 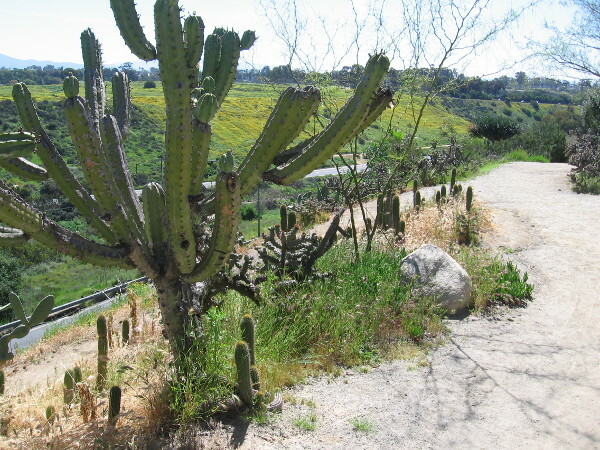 Their innovations in managing San Diego’s resources in wet winters and dry summers are still used today. 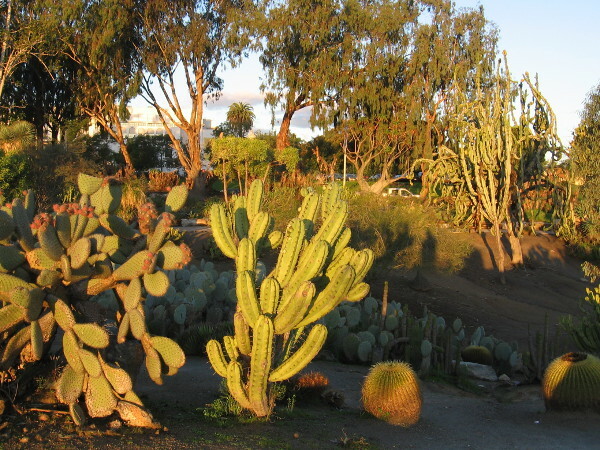 A variety of native plants found naturally in coastal San Diego’s semi-arid climate, including sages and prickly pear cactus. 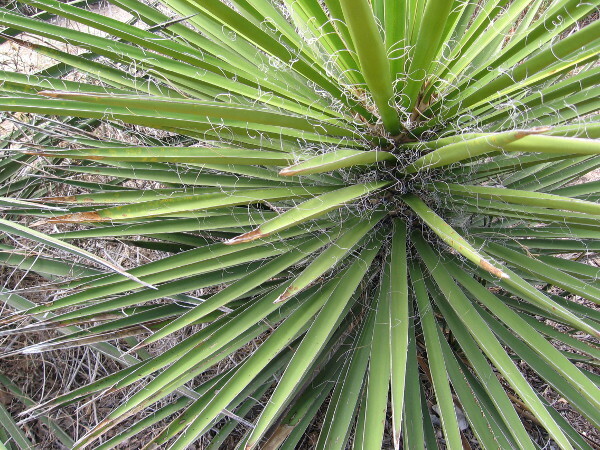 Fibers from the yucca were used by the Kumeyaay to produce cords, nets, shoes and other useful items. 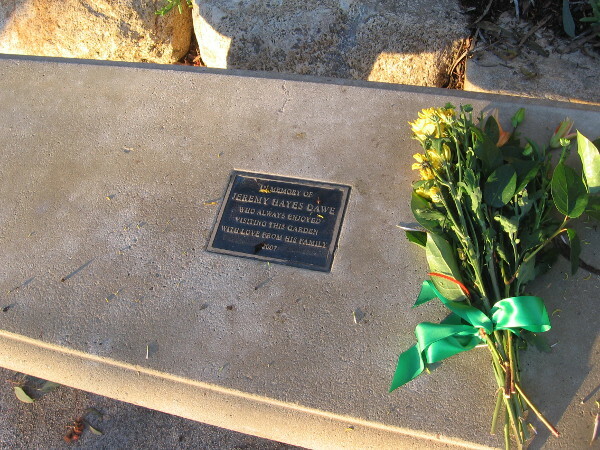 Posted on January 5, 2017 Tags cacti, environment, gardening, history, museums, native americans, nature, old town, photo, plants, san diego, san diego river, signs, southern california8 Comments on Native garden near Old Town San Diego’s McCoy House. 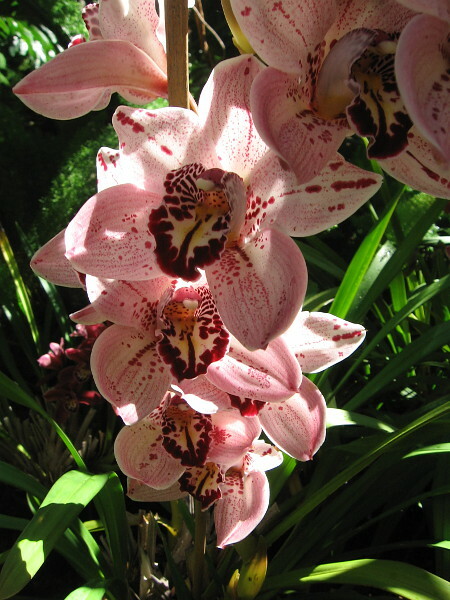 Flowers along a trail into Balboa Park’s Florida Canyon. 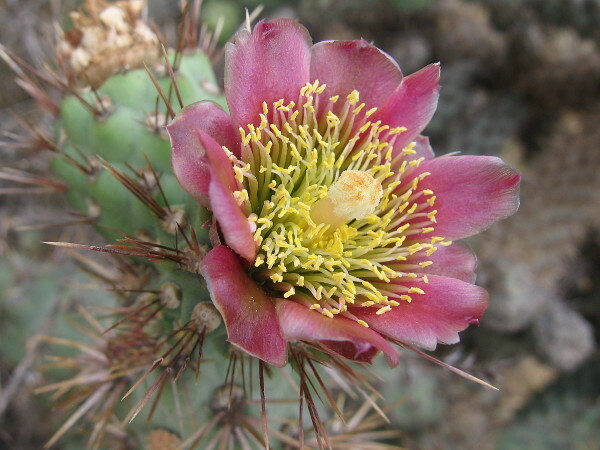 Spectacular flower of a Coastal cholla cactus in San Diego. 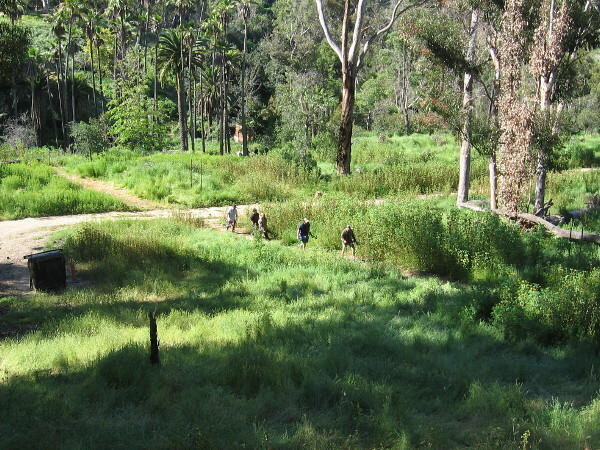 Seen along a trail near Morley Field Drive that leads into Balboa Park’s Florida Canyon. 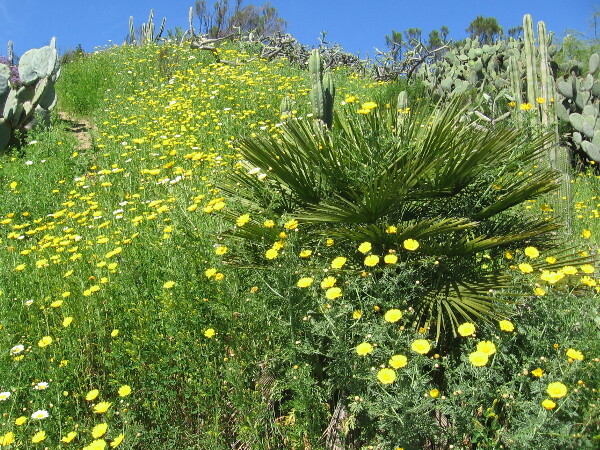 I took these colorful photos while walking Sunday through Balboa Park, along one of the rugged dirt trails that leads up out of Florida Canyon. 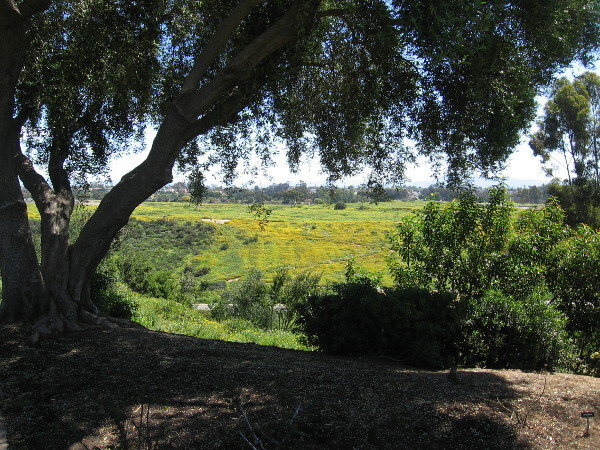 A short hike can be enjoyed through native coastal chaparral and spring wildflowers, between Morley Field and Park Boulevard, just south of Morley Field Drive. 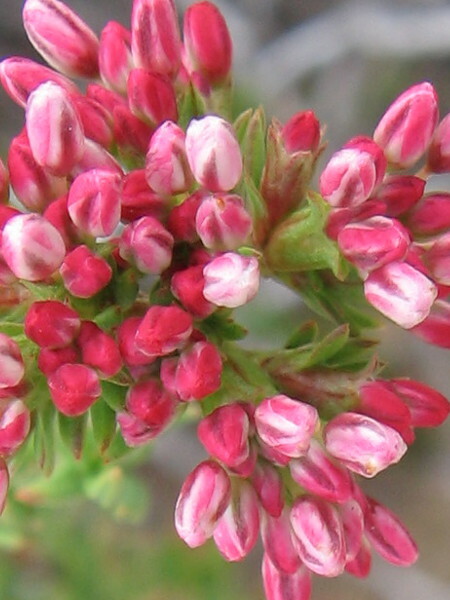 Flat-top buckwheat, or California buckwheat, flower clusters are opening in spring. 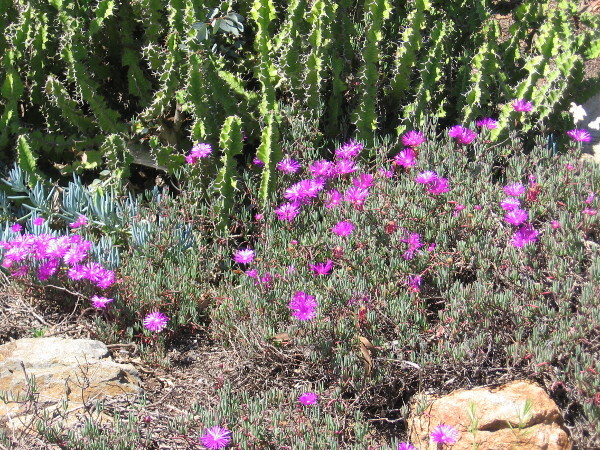 These native plants grow profusely in arid San Diego. 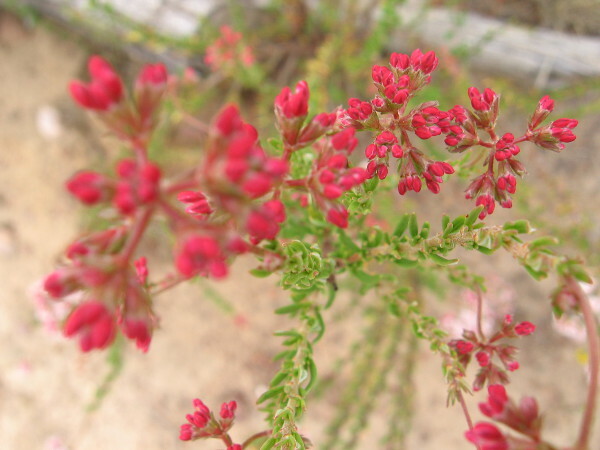 Small red flower clusters of flat-top buckwheat (Eriogonum deflexum) that have yet to open. 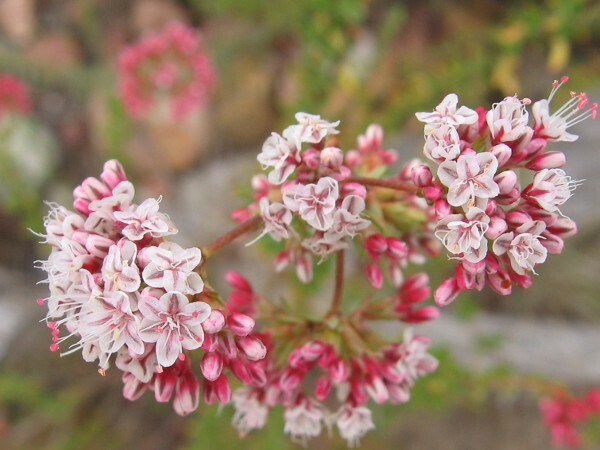 More buckwheat in Balboa Park’s Florida Canyon. 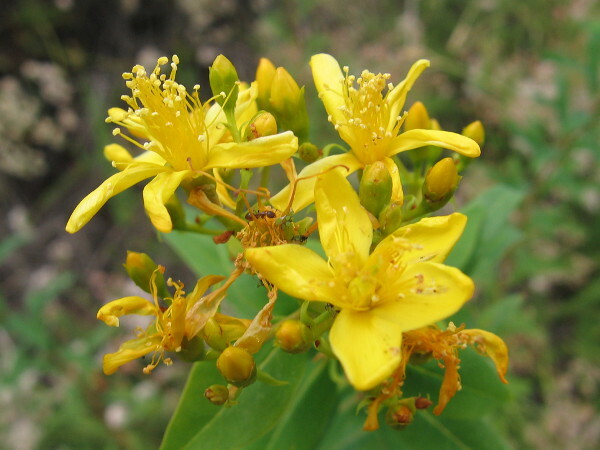 Native Americans used the plant to make tea with medicinal properties. 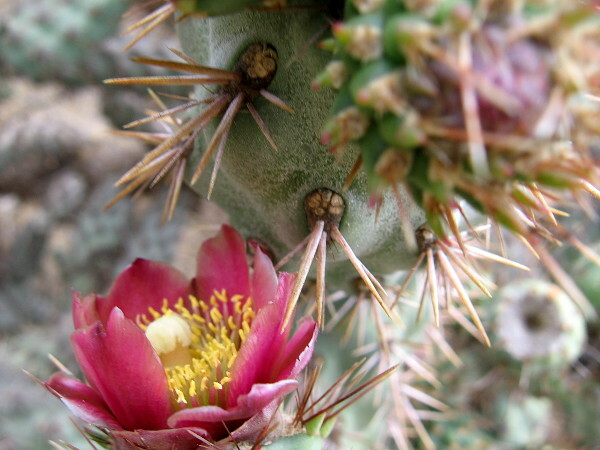 Another flower on a very spiny Coastal cholla (Cylindropuntia prolifera) makes for an interesting photograph. 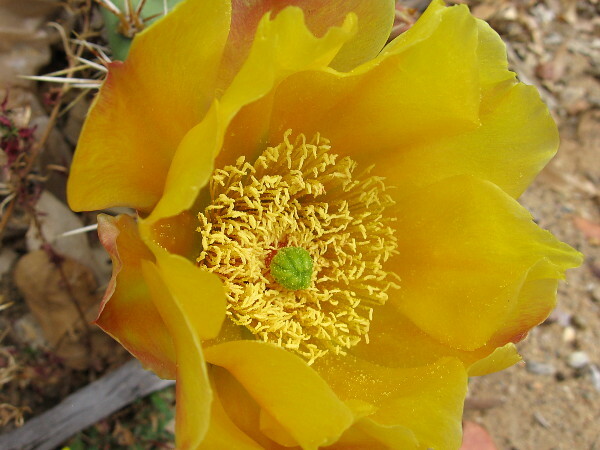 A wild yellow prickly pear cactus flower near the rim of Balboa Park’s Florida Canyon, just across Park Boulevard from the San Diego Zoo. 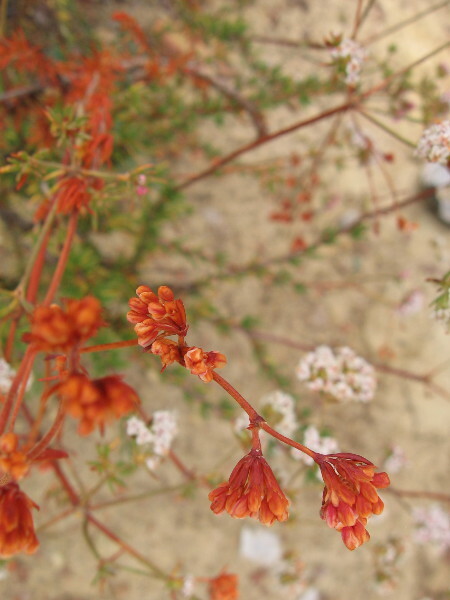 These buckwheat flower clusters have turned brown. 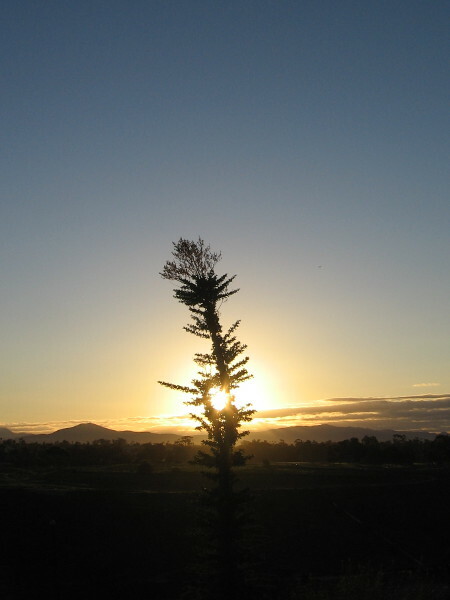 Perhaps that’s why the plant is sometimes called skeletonweed. 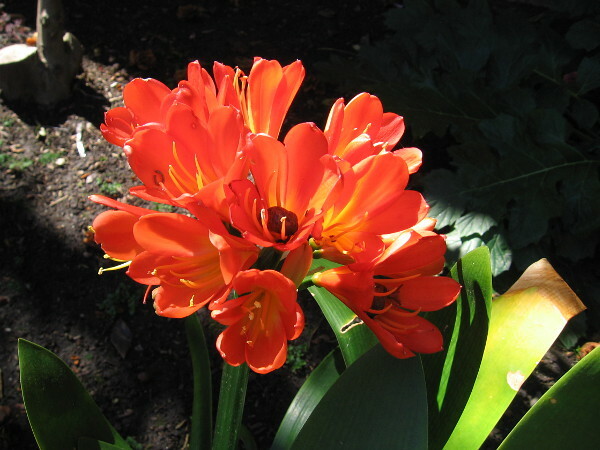 These flowers that I randomly photographed along the trail have me stumped. I tried to identify them, but without success. If you know what they are, please leave a comment! 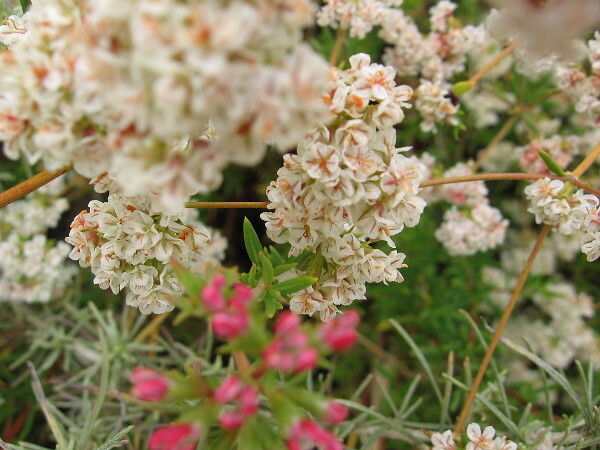 A profusion of red and white buckwheat beauty. 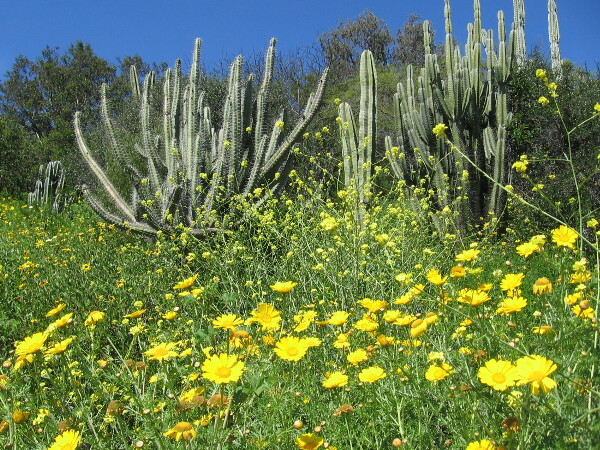 Posted on May 10, 2016 Tags balboa park, beautiful, cacti, california, color, flowers, photography, plants, san diego, southern california, spring, walking7 Comments on Flowers along a trail into Balboa Park’s Florida Canyon. 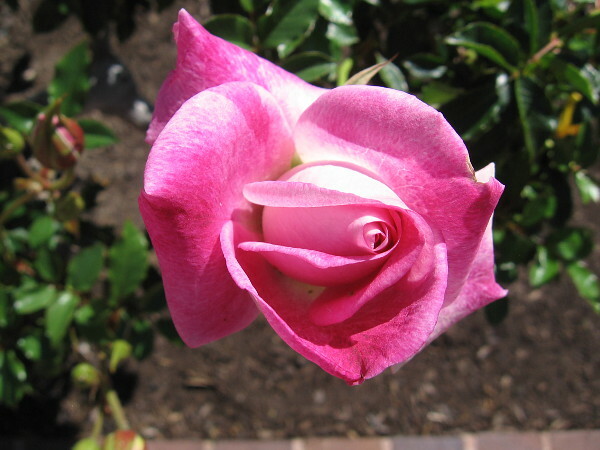 A beautiful garden and a brand new blog! 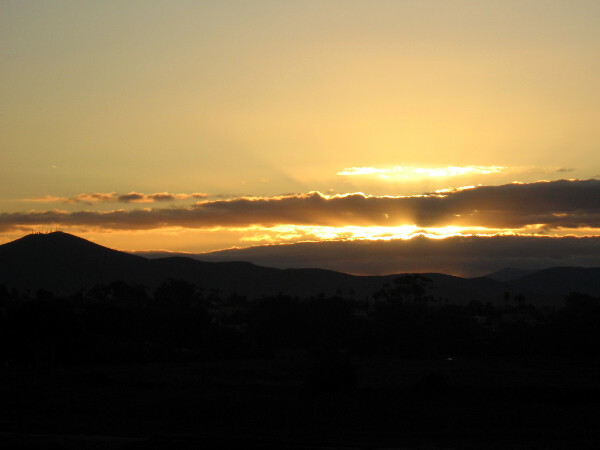 I’ve started a new photo blog! 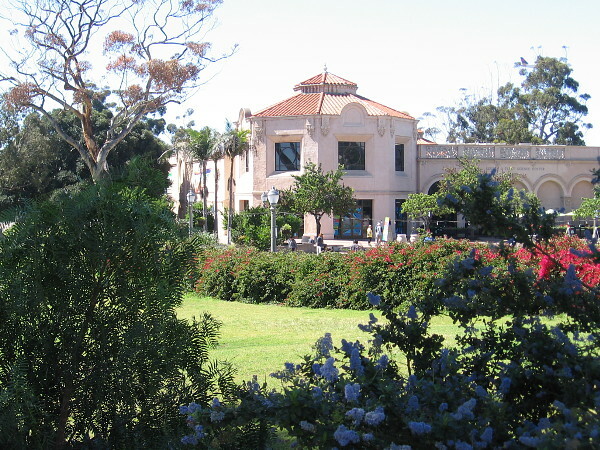 It’s called Beautiful Balboa Park! 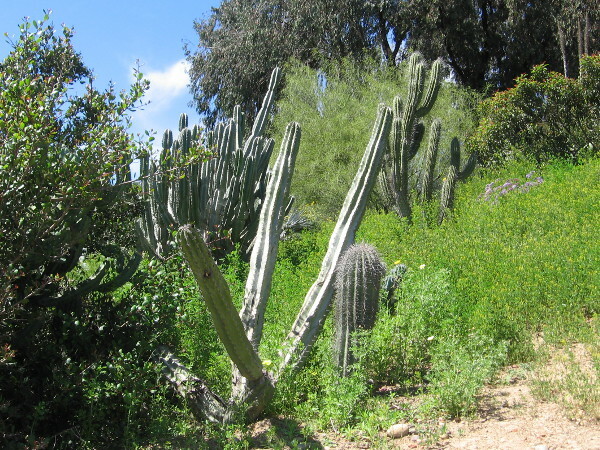 My first post concerns a beautiful but scraggly cactus garden that very few visitors see. 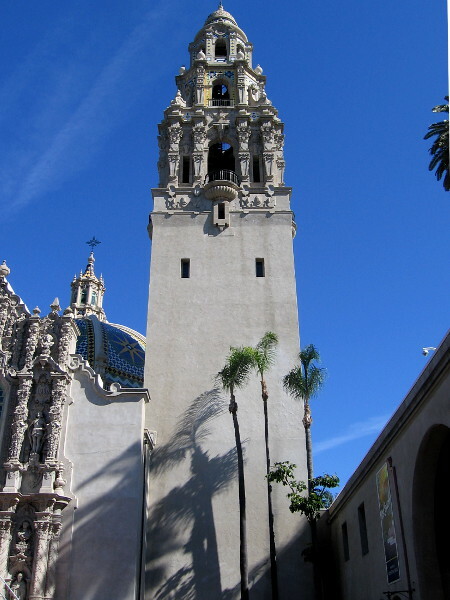 As you might know, I live in downtown San Diego very close to Balboa Park, so this new blog should be fairly active. I hope you enjoy it! 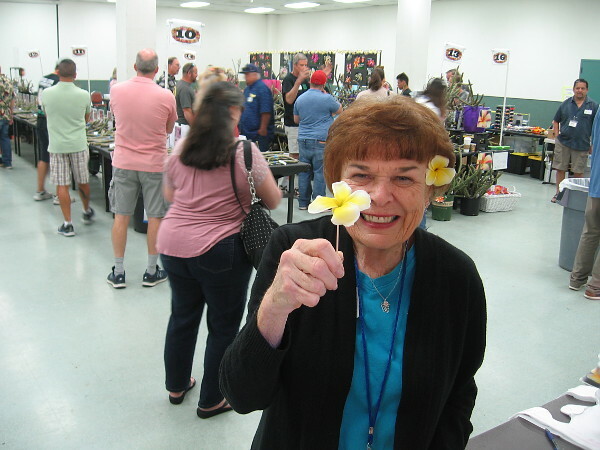 Please follow my new blog by clicking the link below to see much, much more! 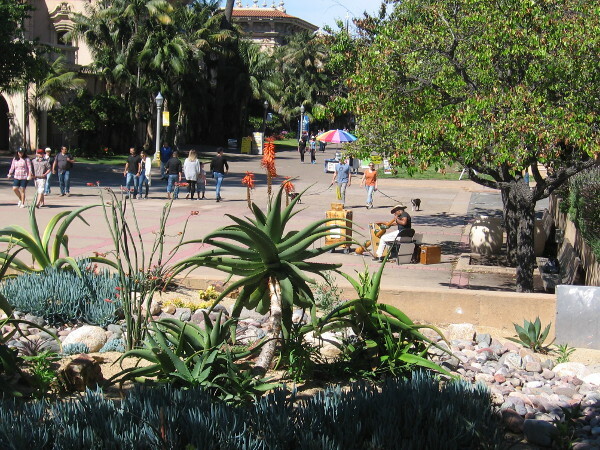 Source: A beautiful garden few visitors see in Balboa Park. 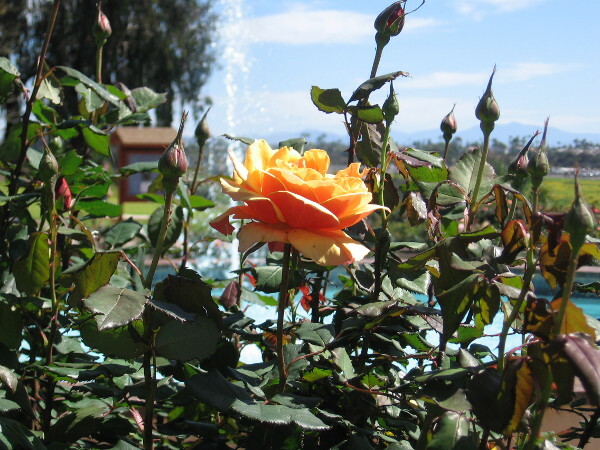 Posted on January 31, 2016 January 31, 2016 Tags balboa park, beautiful, blog, blogging, cacti, gardening, photography, san diego, tourism, travel6 Comments on A beautiful garden and a brand new blog! 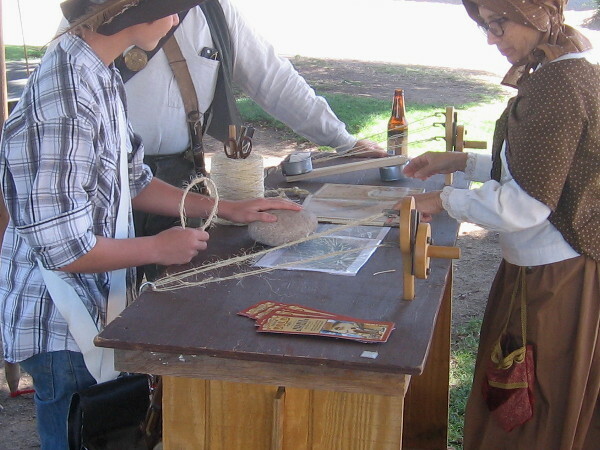 Spinning yarns (and twine) in old San Diego. Yarns dyed many different colors out on display in San Diego’s Old Town. 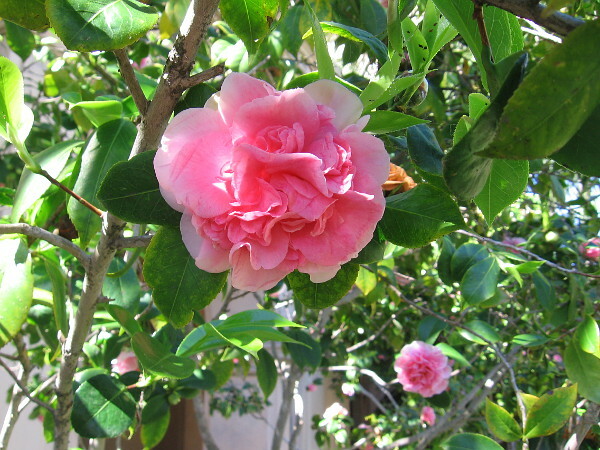 One more quick post from today’s stroll through Old Town San Diego State Historic Park. 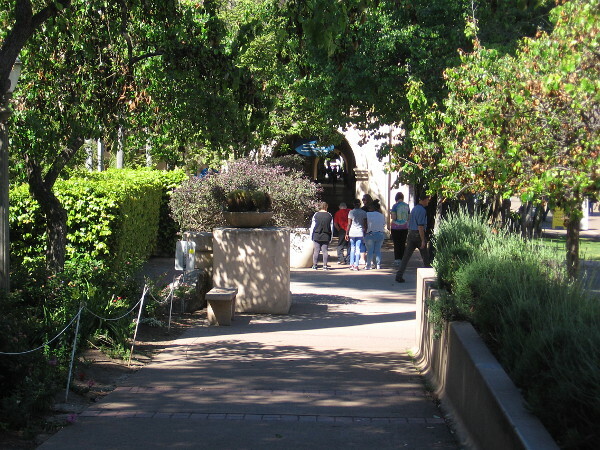 After going on the free walking tour, which I do every few years to jiggle my memory, I observed that a couple of unique exhibits were out on public display. One concerned yarn, the other twine. 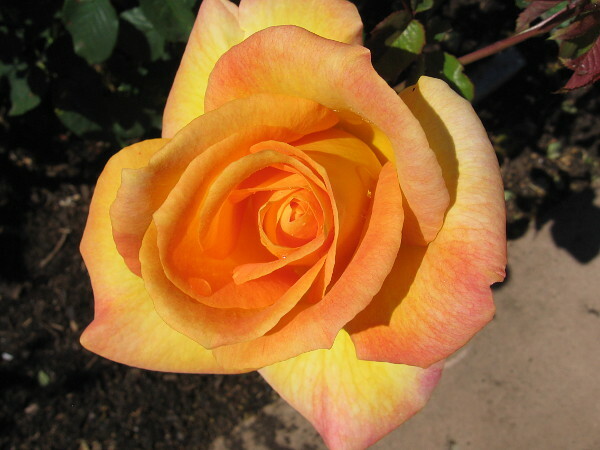 A “string” of coincidence too good not to blog about! Tour guide ready to produce some reddish dye. 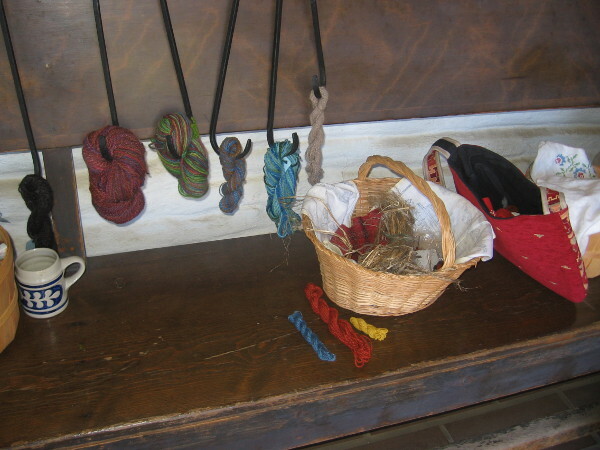 After the tour ended, two volunteers inside the Casa de Estudillo were demonstrating how yarn used to be made. 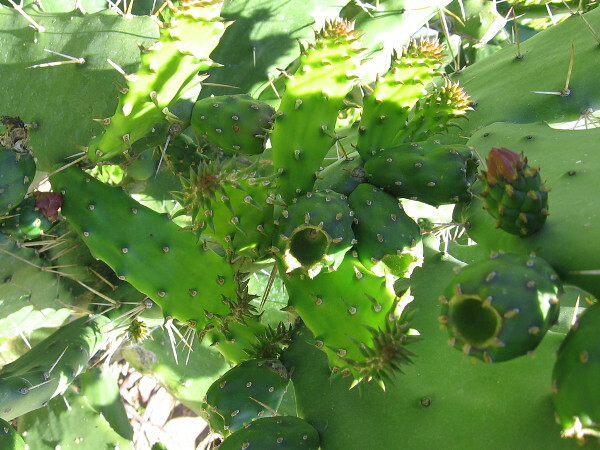 To dye the fibers, both cochineal and indigo dye were commonly used. A spinning wheel served to demonstrate the hard work required to live comfortably before our more modern conveniences. 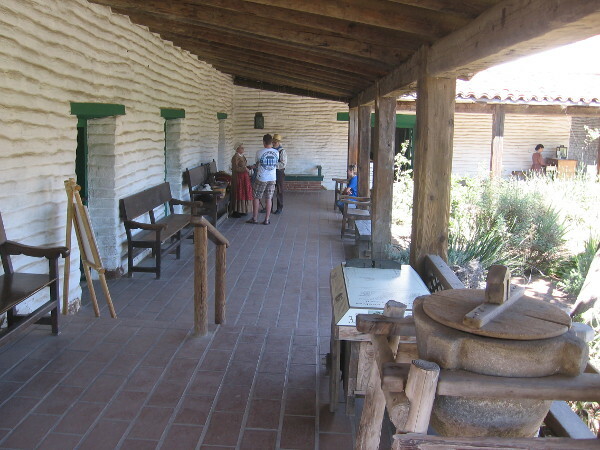 La Casa de Estudillo, an elegant adobe house built in 1827 by a wealthy Californio family that owned several large ranchos in Southern California. 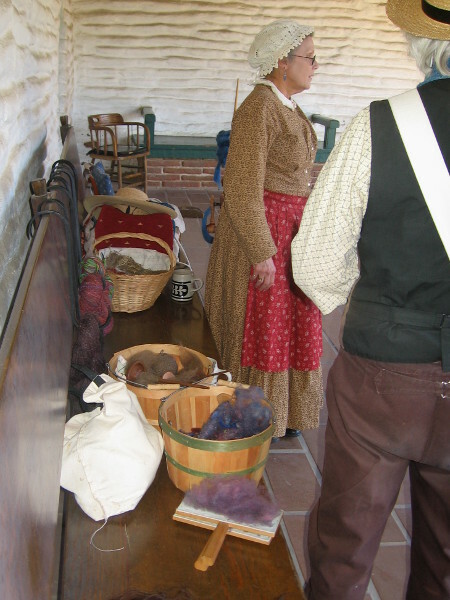 Volunteers in costume with baskets of color. 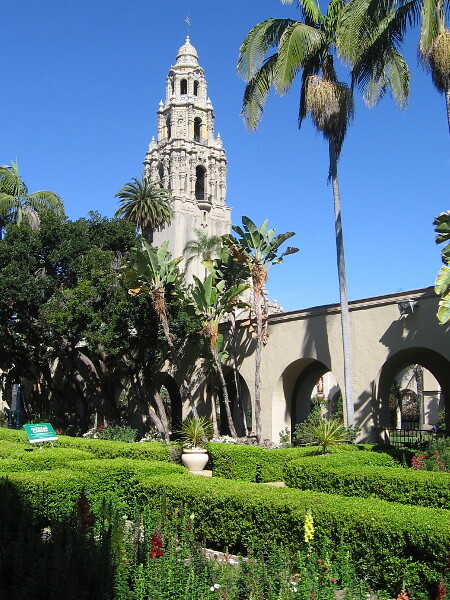 They told me some yarns concerning San Diego’s complex, fascinating history. 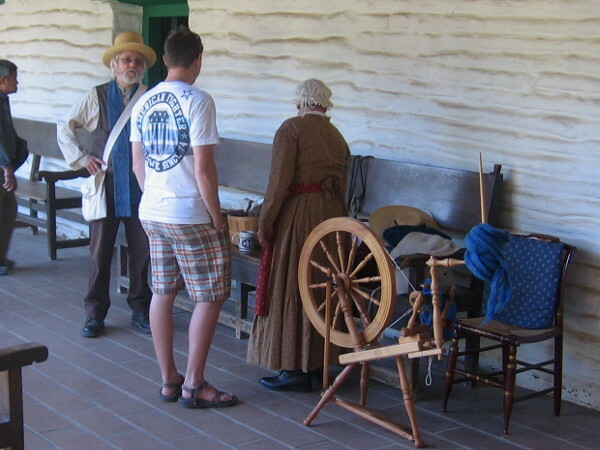 State Park volunteers describe life in early San Diego, when spinning wheels were common household objects. Out in one corner of Old Town’s big central plaza, some friendly Mormons were demonstrating the making of twine. 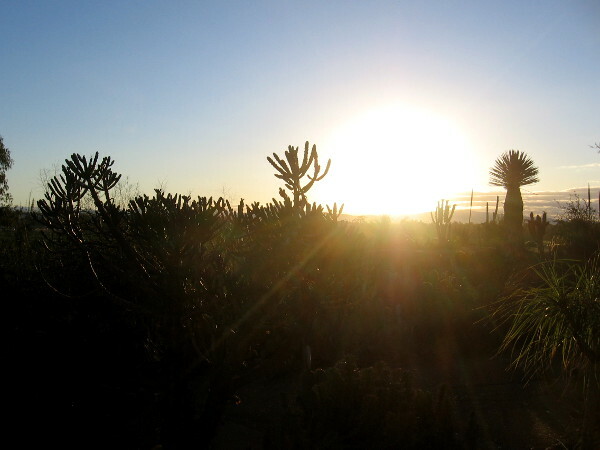 Like the native prickly pear, yucca plants have always been plentiful in San Diego’s desert-like environment. 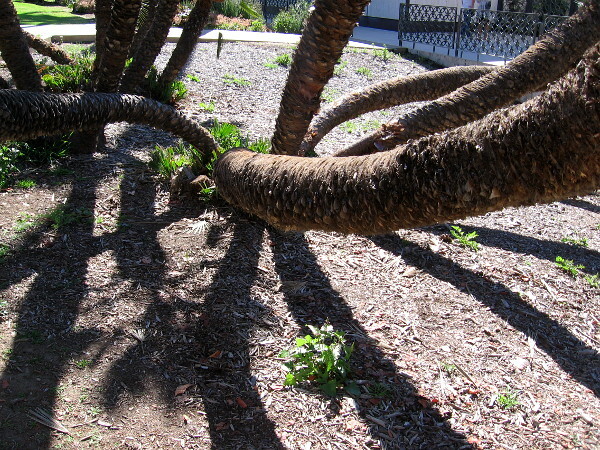 The tough fibers in the leaves, once extracted, are dried and then twisted using a simple mechanism to create primitive but very practical twine or rope. 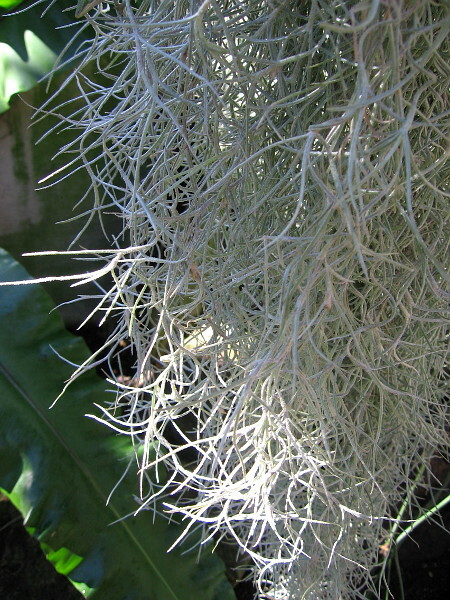 Making twine involved twisting fibers found in native yucca plants. 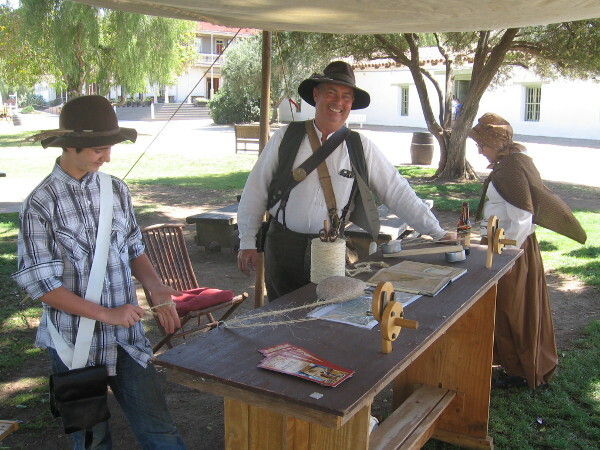 Mormon guy smiles as he exhibits rope-making in Old Town. 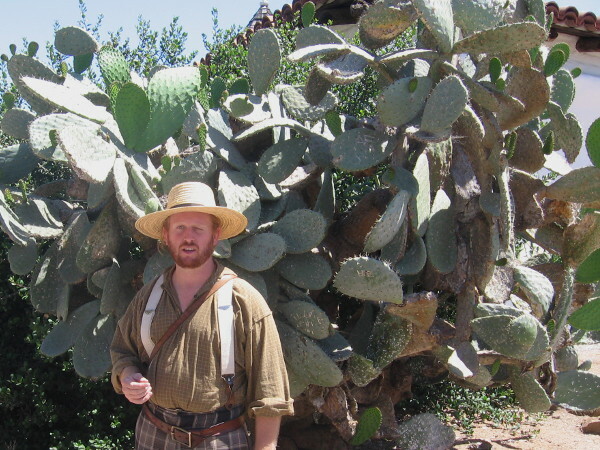 The Mormon Battalion was one of many diverse participants in San Diego’s early history. Someday I’ll probably blog about the amazing, hour-long Old Town walking tour. I need some more photos and many more notes before I undertake that, however! 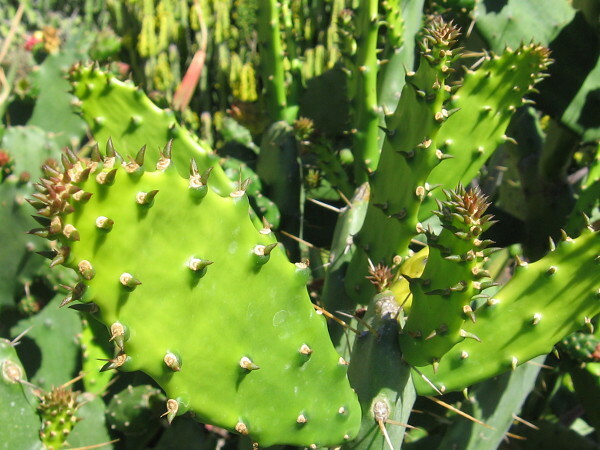 Posted on April 18, 2015 September 10, 2018 Tags cacti, clothing, color, crafts, historic places, history, mormon battalian, museums, old town, san diego, technology, walkingLeave a comment on Spinning yarns (and twine) in old San Diego. 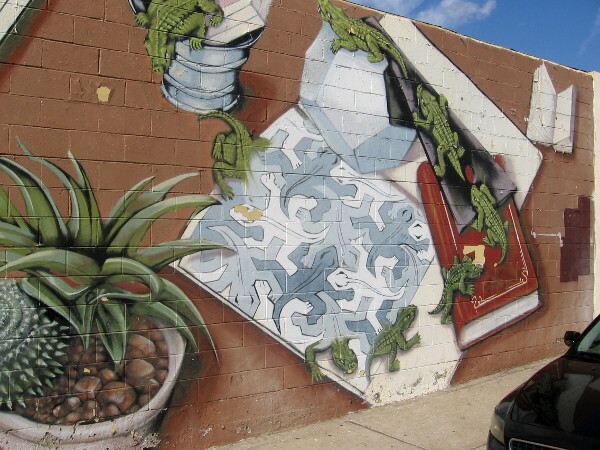 Cool street mural celebrates human imagination. 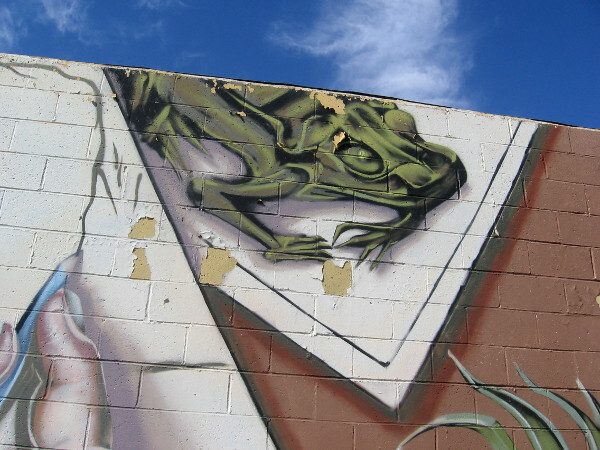 Lizards undergo transformations in a very creative street mural in San Diego. Here’s a very cool mural I spotted last weekend after I watched the Boulevard BOO! Parade. I was just walking along through a neighborhood west of San Diego’s College area. 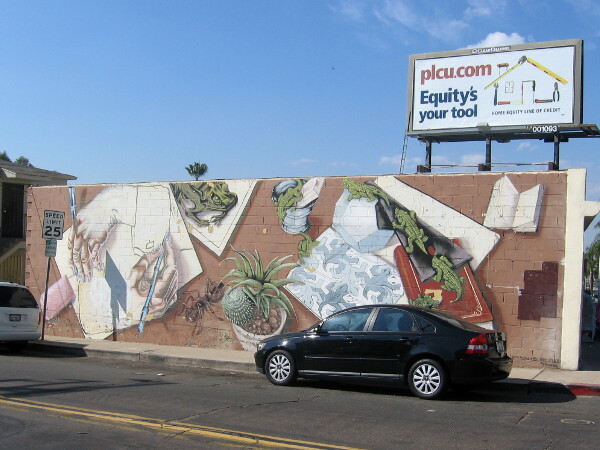 You can find this artwork at the corner of 56th Street and El Cajon Boulevard. 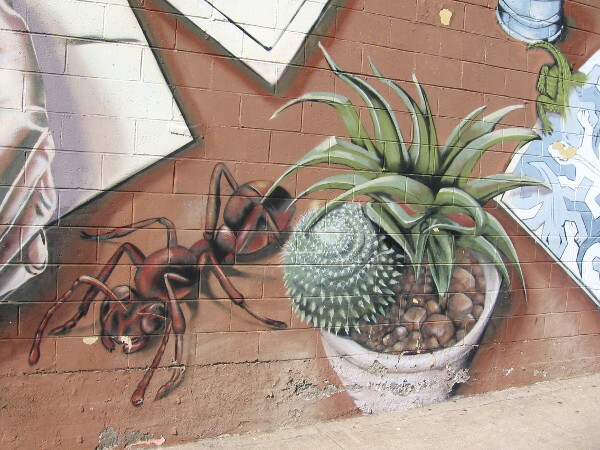 Ant and cacti grown to gigantic proportions beside an ordinary sidewalk. Cool urban art attracts the eye and stimulates the mind of those passing by. Colorful images on a building at 56th Street and El Cajon Boulevard in San Diego. 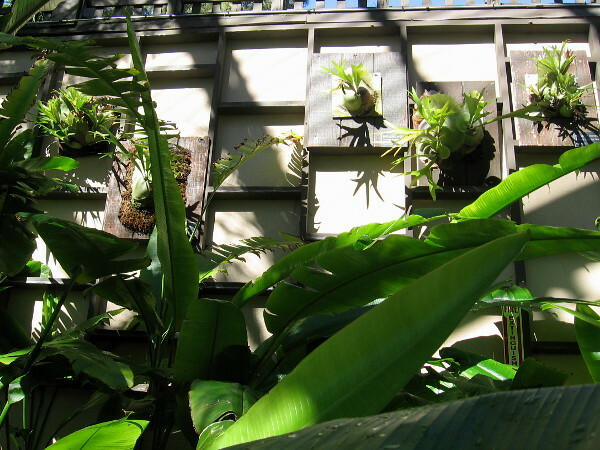 Posted on October 30, 2014 January 13, 2019 Tags art, cacti, city life, color, cool, creativity, imagination, san diego, street art, transformation, urban art, walking2 Comments on Cool street mural celebrates human imagination.